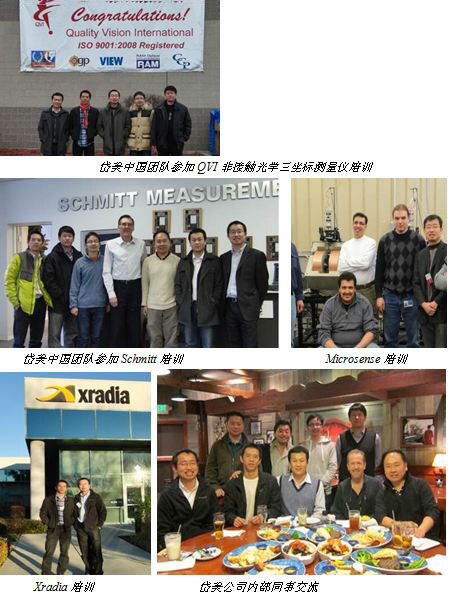 USA – February, 2012 - To better support the business & service in China, Dymek China Team made a trip to US to visit several principals to attend sales meetings and receive advance product training. The trip included Microsense, VSM & Non-contact Capacitance Gauge supplier; View Micro-Metrology and Ram Optical Instrumentation, a subsidiary of QVI Group, non-contact optical metrology system supplier; Schmitt, surface roughness measurement system supplier; Filmetrics, thin film measurement system supplier, Xradia, 3D X-Ray Microscope supplier and FEI, Electron Microscope supplier. The whole trip lasted for 23 days and made a successful conclusion on Feb. 26, 2012.